“Our understanding of the mind today is at approximately the same place as a doctor’s understanding of the heart was 200 years ago,” Dr. John Grohol, a pioneer in modern mental health care, once said. When it comes to mental health, there are many things we have yet to fully understand, leading to several misconceptions and misinformation being spread around online and by word of mouth. Here are five things you probably didn’t know about mental health and the effects technology has on it. People often use these two terms interchangeably especially when it comes to daily conversation that some people start to see them as the same even though they are not. However, mental illness is just one aspect of mental health. Just because you’re not diagnosed with a mental illness does not mean you are mentally healthy. In fact, mental health is the sum of a person’s emotions, connections, thoughts, feelings and the ability to solve problems and perceive the environment. Mental illness, on the other hand, refers to a variety of disordersthat affect these aspects of mental health similar to how the flu affects a person’s physical well-being. Not all people suffer from mental illness. However, even people with good mental health may face symptoms associated with mental illness from time to time like stress, anxiety, and loneliness. This does not necessarily make them a mentally ill person. Good mental health is not about being happy and confident all the time but more about one’s ability to cope and still live life despite these occasional challenges. Technology and social media, for example, affect your mental health but may not always lead to mental illness. Spending too much time on social media, for example, can lead to loneliness and self-doubt. These can also be symptoms of depression but they are not mutually exclusive. A misconception that paints people suffering from mental illness in a negative light is this perceived idea that they are threats to society. The American Psychological Association, for instance, reports that only 7.5%of crimes are directly related to mental illness. Majority of crimes committed are still carried out by people who do not have mental health problems. On the contrary, studies show that people suffering from mental health illnesses are more likely to end up as victims of violence. People with mental health illnesses are more dangerous to their own wellbeing than they are to others. In the UK, 90% of people who die by suicidehave often shown symptoms of mental distress. People often cite bipolar disorder when discussing violence in conjunction with mental illness. In reality, only 11-16% of people diagnosed with bipolar disorderdisplay violent episodes and these typically only occur during extreme moods or when exacerbated by drug and alcohol use. Majority of people with bipolar disorders are not violent nor dangerous to other people. Outside influences can also affect violent behavior. Violent video games, for example, are found to promote violent behavior and in many cases can also cause mental health disorders and mental illness. It is easy to see the phenomenon as a scam that pharmaceutical companies push in order to deepen their pockets. To their credit, it is commonly attributed to the misconception that this problem did not exist ten or twenty years ago. In reality, mental health problems have been around during those times as well. Those afflicted just did not have the means of getting support or the means to identify their problem due to certain negative stigmas associated with such symptoms. The so-called “rise” of these incidents is simply the result of improved documentation as well as better technologies and more comprehensive studies about the topic. Digital health for one has now led to more precise healthcare and medicine delivery with the aid of technology. It is now possible to track one’s wellbeing digitally that allows for a more accurate diagnosis. It’s not always easily affordable or even accessible by many but steps are already being taken in order to remedy this in every community. Mental health problems usually vary on a case-to-case basis, making a universal approach to tackling these problems very difficult. One person may suffer depressive episodes regularly while another may only suffer the same episode twice in a month. Advice and care given to one person may not work for another. At the end of the day, it is the person themselves who knows more about their own problems. They know things about their condition that even seasoned professionals are not privy to such as individual coping mechanisms, support groups attended or mood swings. Documenting these episodes and educating themselves can greatly improve one’s mental health condition. This does not mean that one shouldn’t seek professional help for their problems. Rather, people with these disorders should also work with their care provider by giving them accurate data that can help these professionals improve the quality of care they provide thus improving the quality of treatment they receive. Another reason why people rarely seek the professional help they might need when faced with a mental health problem is the belief that it will somehow go away on its own. People are often told to adjust to a new way of living and chalk these problems up to other unrelated factors. This often translates to people hiding the strong emotions they feel as a result of these symptoms from the public. In reality, this only worsens these illnesses the more they hold it in. Bottling up emotions is not always a good thing, especially for males who are often encouraged to remain stoic even in challenging times. When these emotions eventually explode, the damage can be severe. Emotions trigger hormones and these hormones are important for the body to function. When emotions are stunted, these hormones could cause other important body functions to cease functioning properly in order to focus on the current problem causing these emotions. 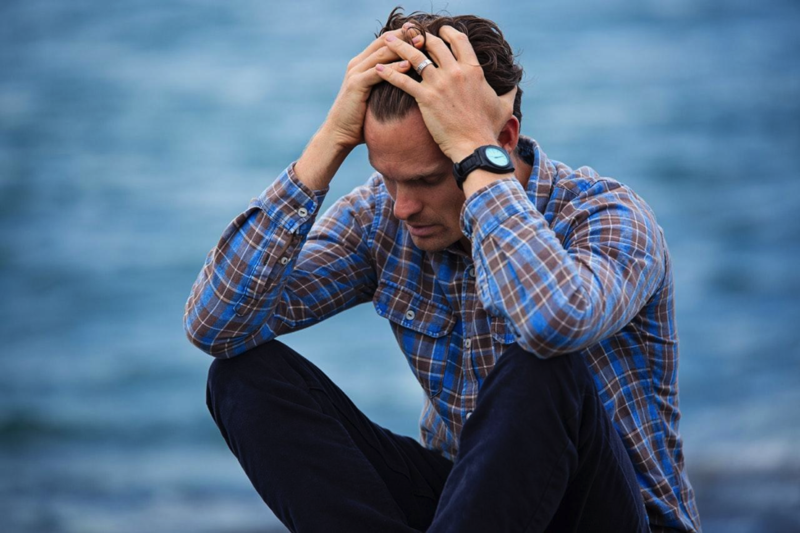 Mental health is so important that even the World Health Organization (WHO)says, “there is no health without mental health.” So when faced with a mental health problem, one must take all the measures they can in order to prevent such a meltdown. Seeking professional help before making rash decisions is always advised. Ultimately, finding professional help has been made much easier in the digital age with various apps and websites designed to provide you with immediate advice and therapy.